As a health practitioner, or someone who manages a physician network, you’re bound to run into situations where a mobile app would serve you well. In fact, quite a few human resource departments and CEOs utilize iBuildApp tools for connecting with health workers. For example, it’s not uncommon for apps to be used for internal HR, food safety information or contact information for an organization. In addition, we’ve found that health practitioners construct mobile apps for appointments, videos educational videos and schedules. We did a little research to start understanding the benefits these health professionals receive from the mobile app, and found interesting details and examples on what other health practitioners and physician networks can do with apps. Which Features Do Practitioners and Health Physicians Use in this App? The main reason this app exists is to share food safety information, including lists of what temperature certain items should be cooked at. 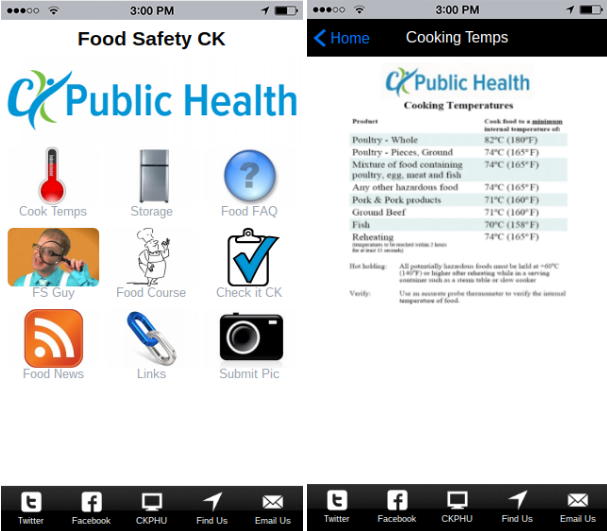 Food handling practices are also covered in the app, along with food safety regulations. They have news, links and courses, along with a registration module for an in-depth food handling course in Canada. 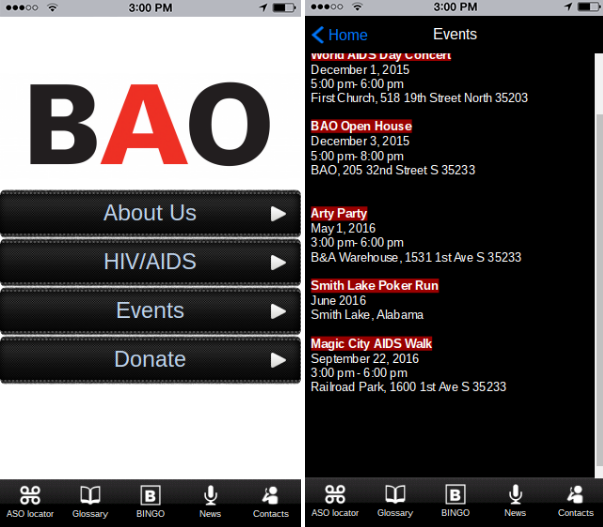 The BAO app is meant strictly for customers, considering they have informational pages about HIV and AIDS, and people can go on there and donate. This is an official app for Birmingham AIDS Outreach nonprofit. It allows finding the nearest testing site, information about HIV/AIDS, and stay updated with the latest HIV/AIDS stories. Also, BAO app allows keeping up to date on events and make reservations from your phone instantly. Since the app provides a mobile presence for an AIDS clinic, it makes sense that a testing site locator resides on the app. In addition, you can find an HIV/AIDS glossary and contact information for when customers don’t know where to go. Some of the other features include an events page, reservation module and community news. What’s Practitioners and Health Physician Intended Audience in this Mobile App? 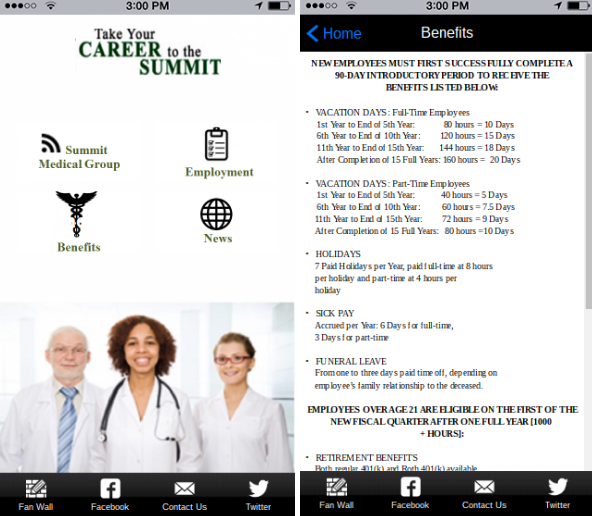 The Summit Medical Group app targets employees. The company is one of the largest physician-owned multi-specialty practices in New Jersey, so it makes sense that the employees would want a quick way to contact HR and learn about benefits. Much of the app focuses around careers, with job information, what can be done to promote your career and more. The Benefits page has all the information needed for employees, including health, dental and vacation time. People can apply for certain jobs through the app, and contacting the human resources team is done through the contact form or one of the social media accounts. This app was created with purpose to coordinate the efforts of Fire / EMS / Private ambulance care providers, hospital emergency departments and staff. The goal of this app is to see that every citizen in the Greater Miami Valley area who call for emergency services receives timely response. It helps to guide fire professionals, EMS, private ambulance and pre-hospital practitioners and physicians. They have a staff in Ohio, but the health professionals might be scattered all over the state when on the job. Therefore, it gives them access to the right documentation, no matter where they are. 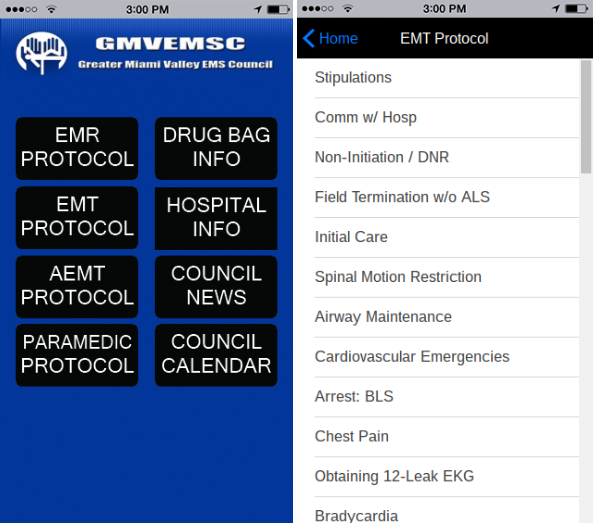 Since the app keeps the EMS Council in Ohio organized, you can see buttons to council news and calendars. Not to mention, they have protocol pages for EMTs, AEMTs, paramedics and EMRs. Could You (A Health Practitioner) or Your Physician Network Use a Mobile App? Whether you’re showing employee benefits to workers or guiding with protocols, mobile apps serve a valuable purpose in the health world. If you would like to make an app for your physician network, let us know about it in the comments section.